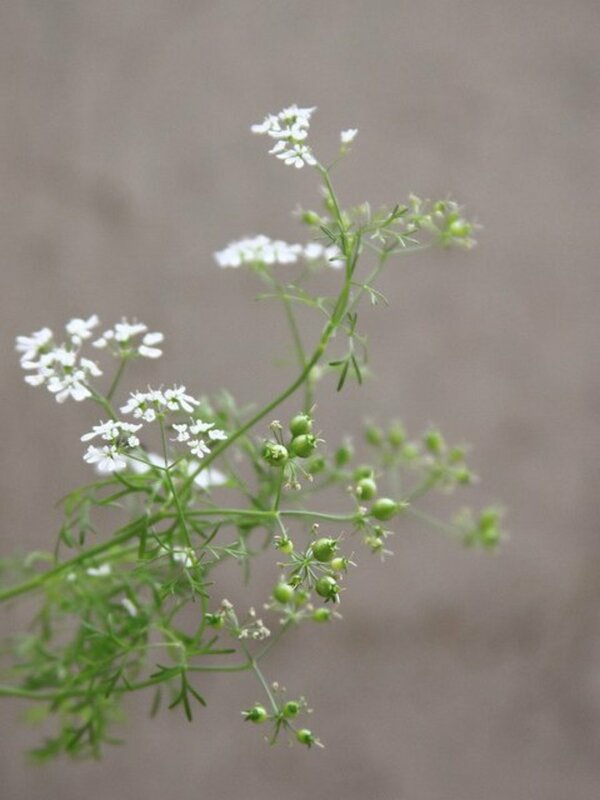 How to Grow Cilantro (AKA Coriander) - Good for your garden and great herb for cooking! Cilantro’s scientific name is Coriandrum sativum. It all began in . . . According to Wikipedia, Cilantro’s origins are in the south of Europe, north of Africa and the Asian southeast. It is used a lot around the world for cooking, especially in Asian, Indian, Latin-American and Russian cuisine. Cilantro is key to authentic Mexican food: you find it in hot sauces, ceviches (a fresh salad of fish or shrimp with tomato, onion and other herbs) and of course guacamole. In Rusia they use it to prepare sausages and other similar products and in India, its seeds, a spice called coriander, is an important ingredient of curry and garam massala. When I started growing cilantro in my home country, I abandoned after three or four “crops” because it was so inexpensive and common in Mexico, that I rather grow basil instead. But then I moved to Spain, and everything changed: who would have imagined this common plant that I had taken for granted it is not that common here and it is very expensive (as to Mexico’s prices). And if you use this plant in your cooking you cannot really substitute Cilantro’s fresh flavor with other plants, like parsley with what it is usually mistaken for their similar appereance. Cilantro is really easy to grow, fast and not requiring a lot of work, plus it is a good companion to tomatoes, peppers and other herbs as well. So, if you like cilantro, growing it in your garden is definitely worth your time. Cilantro’s seeds are big (well . 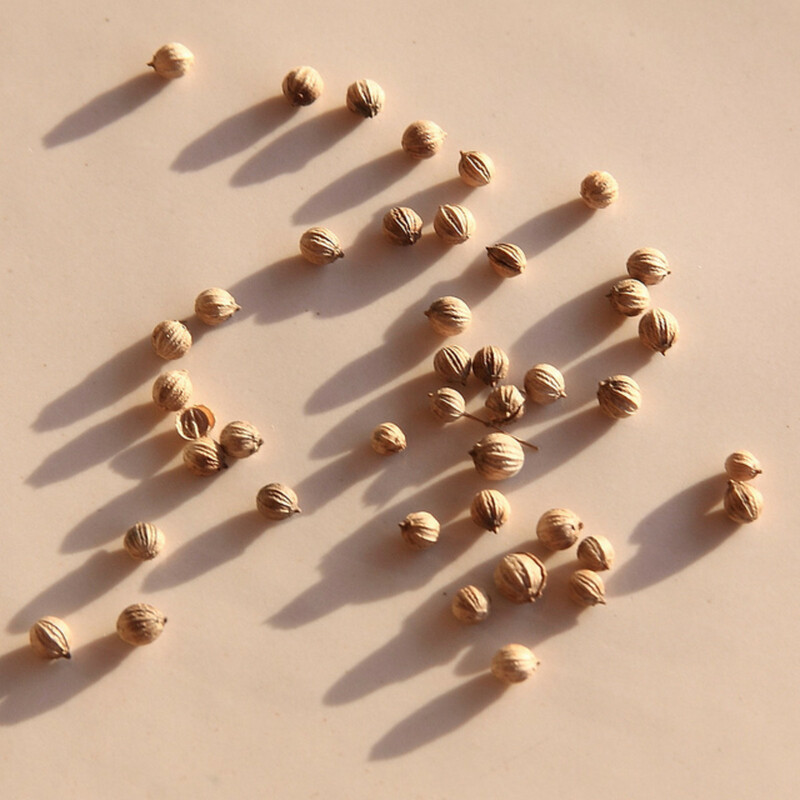 . . for being seeds), round and they are covered with a rugged beige or light brown skin (when dried). All or at least plenty of seeds germinate, so do not sow too many. You would end removing several plants. 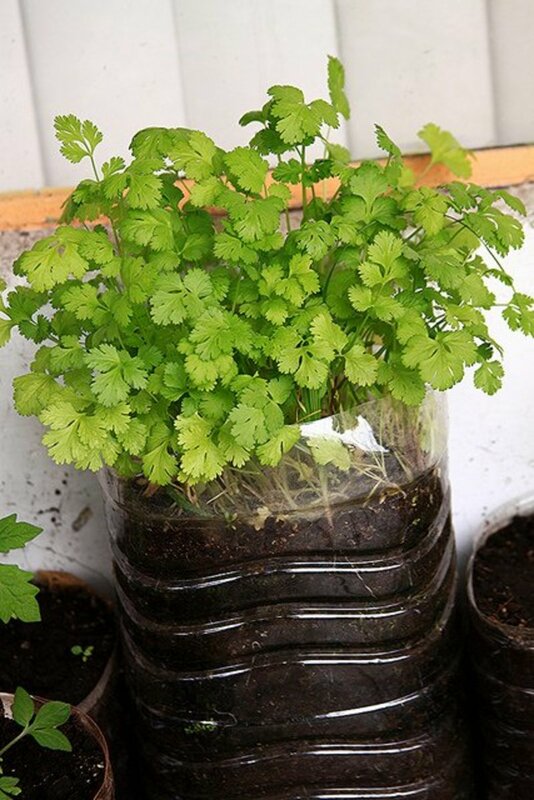 For container gardeners: Cilantro’s roots are 50 cm – 60 cm (19 in - 23 in) deep. Each stem produces lot of small branches and leaves, so chose a medium to large pot. 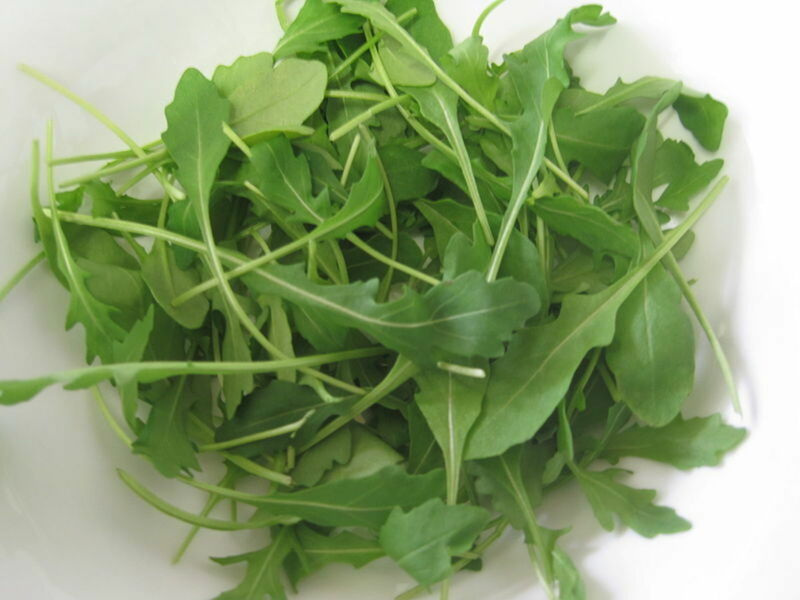 However, if you do not care about getting the seeds, a small pot is enough to have a quick crop of tender leaves. Sow seeds 1 cm (a little less than half an inch) into the ground and with a separation of 5 cm to 8 cm (2 in – 3 in) among seeds. What I do is to set the seeds and then cover them with ground. If you are planting outside, the best time is during spring-summer. If you use pots, anytime is fine unless you live in places with harsh winters. If you live in a place with good weather, don’t bother with seed trays, plant them directly in their final spot. The first time I was reading about growing cilantro, I found some advice regarding wetting the seeds in water or milk, and even “opening” them before planting. My opinion is that it doesn’t make a big difference. 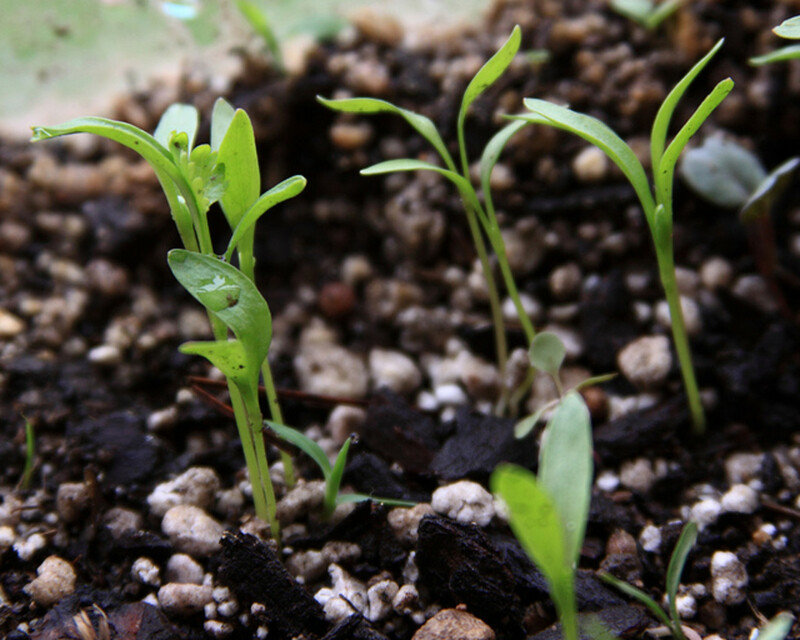 Seeds germinate fast, from three days to a couple of weeks depending on the environment. The first set of leaves are long and plain and sometimes they are stuck with the seed “as a hat”. Don’t worry, they will lose the seed “hat” in a few days. If you try to remove the seed you could pull out the plant because their roots are not too strong yet. Can you cook without cilantro? Yes, I don't know what the fuss is all about. When seeds are germinating, soil must be kept wet, so constant watering is a must (but not overdo it!). It is an annual plant, but the leaves have a bitter taste once they are flowering. Therefore, if you will use it for cooking, you have to plant a few times per year to have good usable plants all year long. Some webpages suggest planting every two weeks to ensure you will have fresh cilantro all year long. I think this is too much space devoted to a single plant. For me planting every three months works fine (Note: I plant for a family of three). Cilantro is not a picky plant, but it is better to use fertile to sandy soil, and it can grow well in poorer ground as long as it has good drainage. What is the appearance of a cilantro plant? The first set of leaves are long and plain, but the rest of the leaves are lobulated. They grow a long streight stem with several branches and leaves. 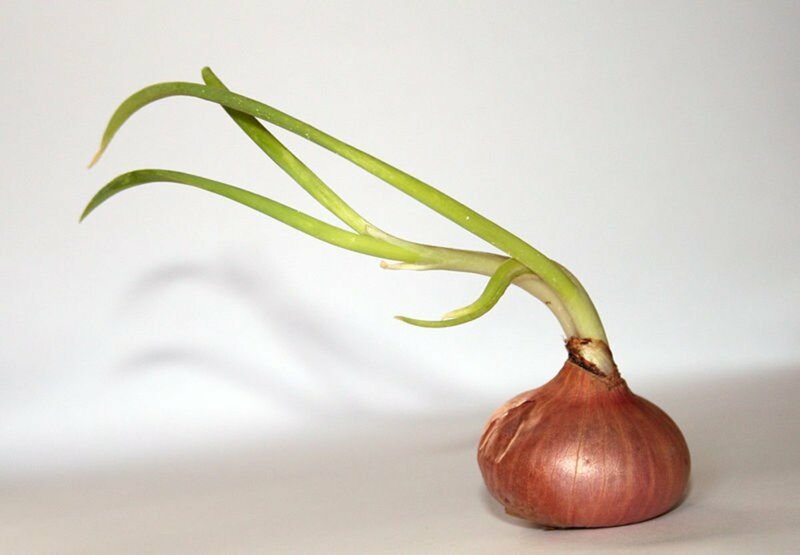 Their stems can reach 50 – 60 cm (19 in - 23 in) high. Before flowering, upper leaves will become longer, thinner and feathery. The taste of the leaves bitters at this moment. Flowers are small, white or pale lilac and they grow in clusters. Cilantro is not a water loving plant. After the seeds germinate you can reduce watering. Overwatering can kill your plant because it doesn’t respond well to water logging. It is better to provide plenty of sun; however it can also grow in partial shade. Prefer morning or late afternoon sun, and avoid it at noon if it is too strong (scorched cilantro is not nice). It is a plant that doesn’t need too much fertilizing. Once in their whole lifecycle is okay, and chose a high potassium / low nitrogen mix. They grow well in most soils. The best would be sandy. 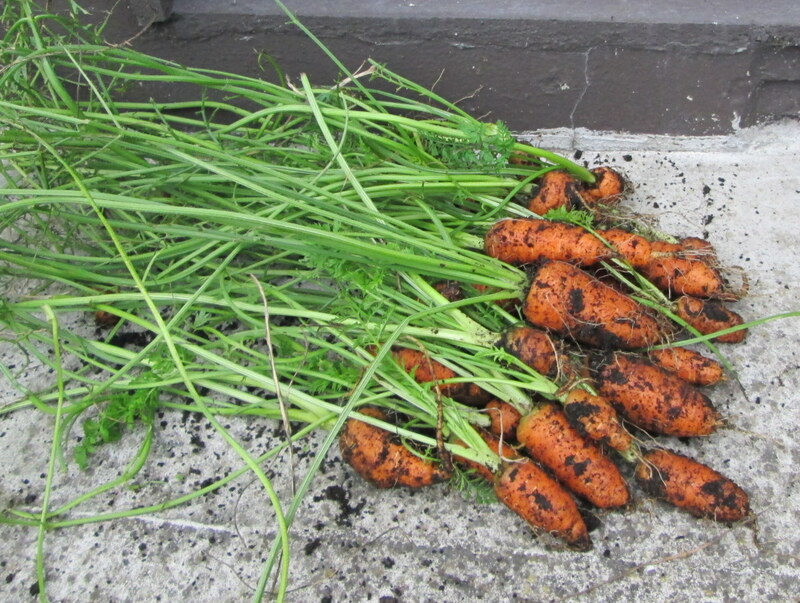 The least good are soils with high clay content because it won’t drain well and cilantro does not thrive with too much water. 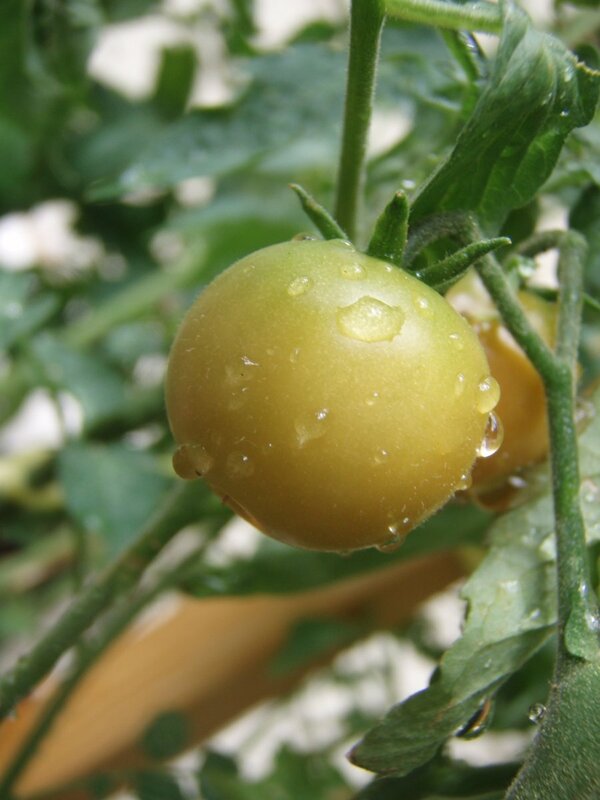 It grows well with compatible plants such as tomatoes and peppers; it enhances their flavor and helps keep them free of plagues. It grows well with other herbs. 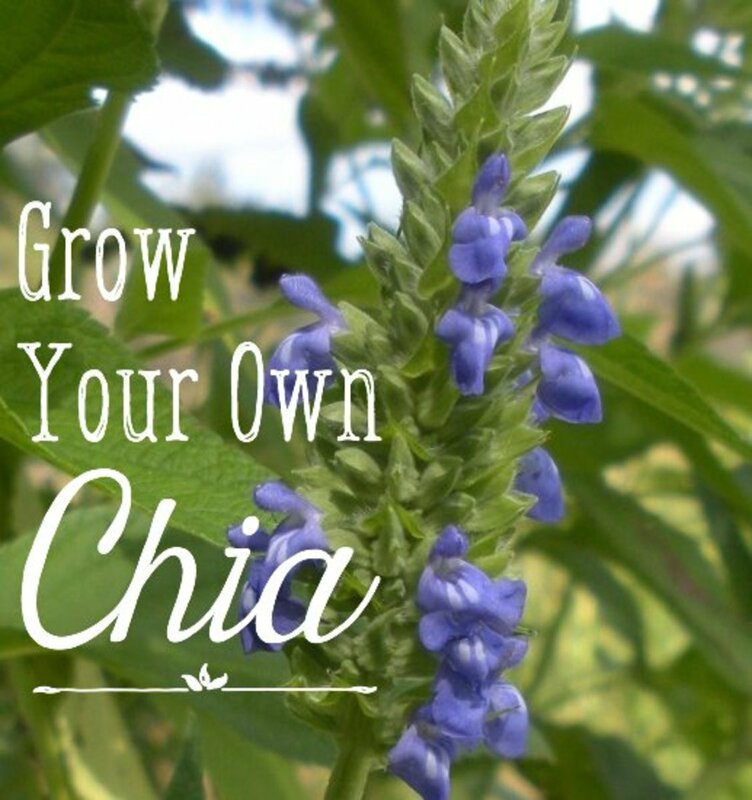 You can include it in your herb garden without worries. Because this plant has long roots, it is better to use medium to large pots. However, you can still use small pots and consume the tender leaves while the plant is growing and when it is too big to continue growing in the pot, remove it and plant a new one. The only disadvantage of this system is that the plant may not grow enough to produce flowers and seeds. It is important to keep the area free from weeds, especially if planted directly in the garden. It is more difficult to keep everything clean and tidy when weeds have taken over. How to cut and keep cilantro seeds and leaves? Cilantro tastes better when it is freshly cut. 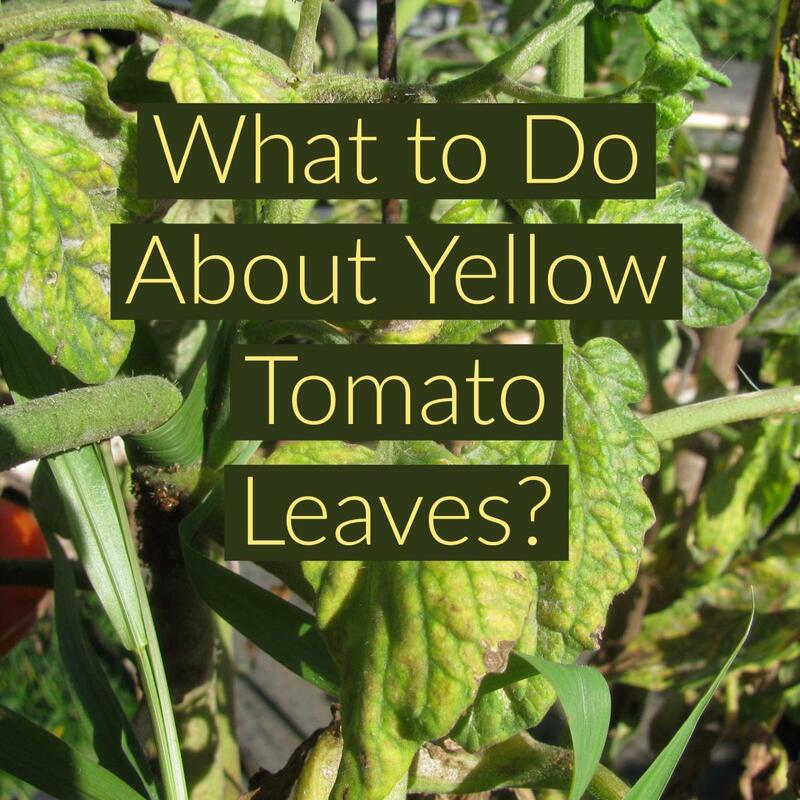 You can trim the outer, tender leaves from the exterior branches when needed without damaging the plant. You can dry the leaves but the difference in taste is huge and they do not freeze well either. If you need to keep cilantro for latter use, here’s a suggestion: chop the leaves and immediately freeze with some purified water as ice cubes. When they have frozen you can keep the ice-cilantro cubes in a Ziploc bag in the freezer. Use always the same amount of cilantro and remember how much you used per ice cube (1 spoonful or 2 spoonful per cube, you get the idea). To get the seeds, you must cut the flower clusters in their stems when the seeds are reddish and let them dry upside down or inside a paper bag. Once stems have dried up you can get the seeds. If you kept them in a paper bag just shake it so they come off. You can keep them in the bag until you need them. If you grow cilantro in your garden, you can leave the plant to grow, produce and let their own seeds fall down and then remove the plants when they are no longer productive (or to give space to the new plants). I got this idea by reading about permaculture, but haven’t got the chance to test it. What I do know firsthand is that if you place a few seeds without covering with soil, they germinate but it takes more time (four weeks approx). It has an antibacterial effect for Salmonela (Salmonella choleraesuis) and it is a natural conservative, it’s antioxidants slows down the decomposition process and food cooked with cilantro last longer for this reason. It is a plant that attracts butterflies and other benefical plague-eating insects (especially when flowering). However, lots of people (but not all) find the smell of the plant offensive. I didn’t smell a thing but my husband was always complaining! Not all people are fond of cilantro’s taste. Some people feel it tastes soapy and this may have a genetic reason. 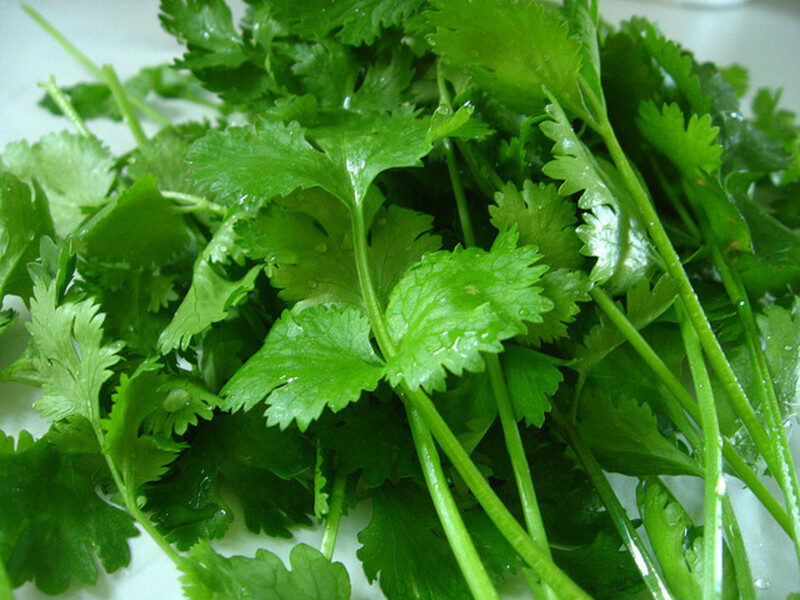 People in countries where cilantro is not commonly used are more prone to dislike its taste. It seems you either love it or hate it! and there are plenty of cilantro haters forums and clubs, such as IHateCilantro.com. I freeze my cilantro in lime juice. This way it is ready to make Pico De Gallo. I find that mixing the lime juice, garlic, cilantro, and onion first helps meld the flavors faster. Good clear information about growing this plant. I don't cook with it often but found it was used fresh in a lot of dishes I had on a vacation to Costa Rica. I'm glad to know it would make a nice container plant. Great information. Have never tried to grow cilantro but will try next year. Congratulations on the HOTD. Gabriella, congrats on HOTD! 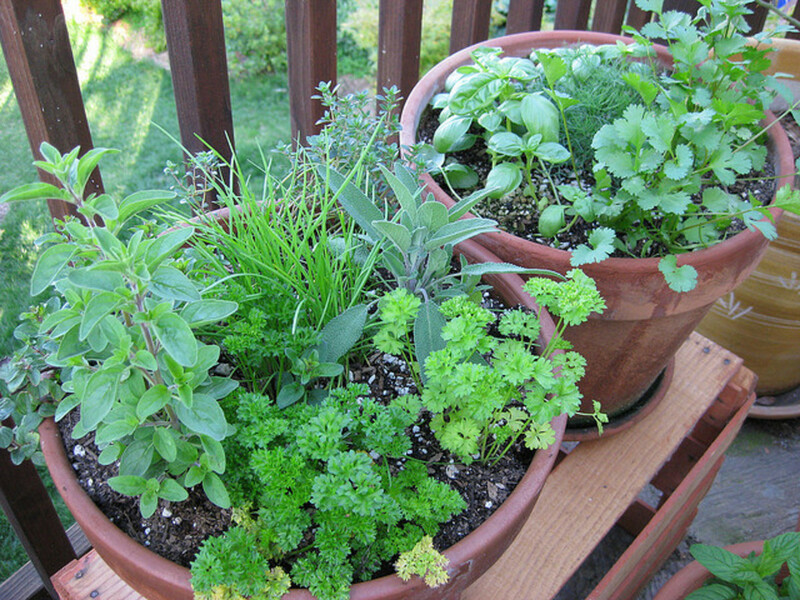 This is a great info on how to grow cilantro in your own garden. Very useful with lot of facts. Voted up! I love cilantro. Have you tried it in your scrambled eggs? 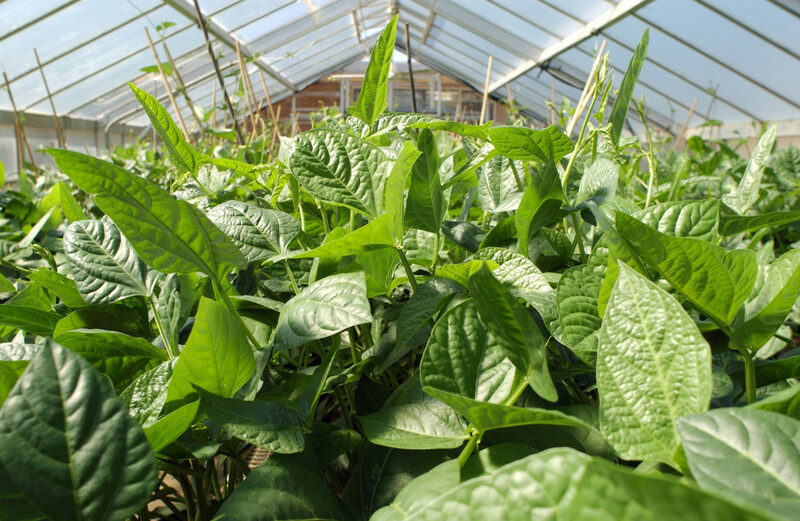 We also grow it in our garden and use it in many of our dishes. We don't use pots but that is a great idea. Thank you Patsybell, I'm glad you found it useful and enjoyed it! Great information. Garden writers always enjoy reading other garden writing. I like your style. Voted up, U,I, Pin, tweet. I am very happy to hear you enjoyed it! I've frozen cilantro in ice cubes and it has done the trick for sauces and stews. You can't use it for salads though. PS: Your comment gave me a craving for Thai food. I can see this hub was written with passion Gabriela ;) I live in Thailand and as I' m sure you know, coriander is an essential ingredient in many Thai dishes. I couldn't stand it to begin with, now I can't get enough of the herb, in fact I can almost smell it as I read through your article. I was just looking to see if you can freeze Cilantro which is how I came across your article. I did read somewhere else that it is best frozen in ice cubes, as that method preserves the aromatic components. We'll see! Anyway, lovely hub, nicely laid-out too, kind of like a glossy magazine, which makes it even more enjoyable to read. Coriander is one of my favorite spices and had planted this summer and as you said won't survive the harsh witners well advised and shared. That is great new first-hand information for me. I've never imagined it could go for so long as 10 years! This is full of info on cilantro--thanks! Our stand of cilantro has stood the test of time, maintaining itself for over 10 years now. Some mild winters have done it good, and allowing it to reseed itself works wonders as well. It really is a wonderful herb to home grow! Cilantro does enhance homemade salsa, but I've never thought of adding it to salads. I will try that next time! Cilantro is a staple in my herb garden, I use it for my homemade salsa and fresh salads. Thanks for the comment BillyBuc! Thanks for the information. We have quite a few herbs in our garden but cilantro is not one of them. I will correct that next spring.